The Fit Will Hit The Shan. How Will You Handle It? Every morning I'm up between 4:40 and 5:15 am. 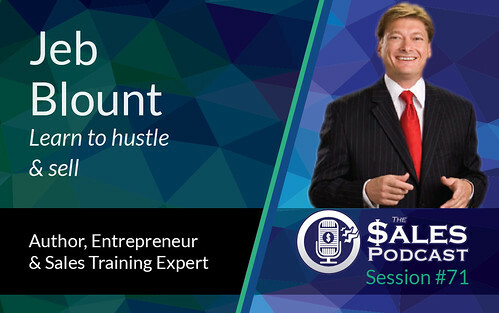 About Today's Guest on The Sales Podcast Jeb Blount is a globally recognized sales trainer, entrepreneur, business coach, mentor, author and consultant, who has guided 10's of thousands of sales people and entrepreneurs to achieve greater sales success.